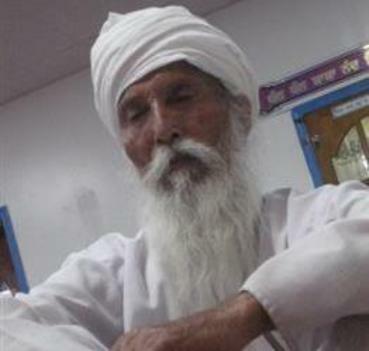 Gilbert Garcia, who is accused of brutally attacking 82-year-old Piara Singh on May 5 as he walked home from a Gurdwara in Fresno, California, has now been also charged with a hate crime. Garcia was initially charged with attempted murder and elderly abuse as well, for which he has pleaded not guilty. Fresno Police Department Officer Jaime Rios told India-West that Fresno Police Chief Jerry Dyer had mandated no copies of the report be released, to prevent panic in the local Sikh community. Rios would not comment on what Garcia had told police during his arrest. Despite the delay in announcing the charge, it appears there was enough evidence to pursue the attack as a violation of hate crime law, which carries a significant prison sentence (violations of federal hate crime law come with sentences of up to ten years) if Garcia is convicted. The hate crime charge also came after members of the recently-assembled American Sikh Congressional Caucus — a bipartisan group of US House Representatives convening on Sikh American issues — pressed the FBI to pursue hate crime charges in this attack. “He is pretty much bed-ridden and really shaken up,” said [grand-nephew Herman Sihota], who was born and raised in Fresno. “Prior to this, he had no physical health problems, but we’re seeing some new things now,” Sihota said. Let us hope that Piara Singh’s recovery continues and he is able to return to full health. I feel it must be pointed out the this slimeball has not yet been convicted and until he is, he must be presumed innocent. We should be careful about saying that he did it, as in your opening statement, until he either confesses or is found guilty. You are, of course, correct. I’ve edited the content. Thanks for keeping me on my toes.